The achievements of C-Trak Ltd are owed largely to the skills, expertise, knowledge, and most importantly the commitment of our employees. Many of which have been with us for over ten years and are dedicated to giving a first class service to our customers and have become part of the family of C-Trak’s history. 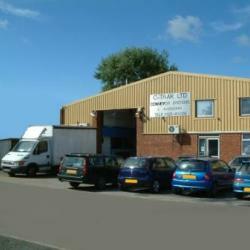 Established in 1979 and is today still a family run business. We have expanded by acquiring companies such a Bernco and F & C Engineering, and have now moved into larger new premises to allow us more room on our factory floor for production and to increase our work force. Our computerised quotation, design and manufacture set up allows us to supply Conveyors on very short delivery schedules the system was installed in 1988 and has provided engineers with instant quotes on numerous occasions and gives us the cutting edge advantage. C-Trak has the approach of “we can do” and will go out of our way to come up with the ultimate solution to your problem. When looking at the Conveyor Industry there are very few companies that can boast that they have been about for 30 years and are still have an influence in the supply of leading edge engineering conveyor products. Over the years, competitors have come and gone but C-Trak have kept up with new technology and proven by our track record we can provide the solutions that are needed in an ever increasing world of technology. The key to success lies in the expertise of our staff to optimise the performance of the conveyor required to the customer’s budget. We have a very responsive welcoming approach and love a challenge that will stretch us. We provide free realistic advice to your requirements based on our 30 years vast experience. C-Trak provides precision fabrication and machining services to our customers. Using a wide range of CNC machinery, punching machinery, press break, guilitine and specialist cutting technology. We welcome customers to visit our site in Leighton Buzzard to see the quality of our work first hand and to meet the staff.